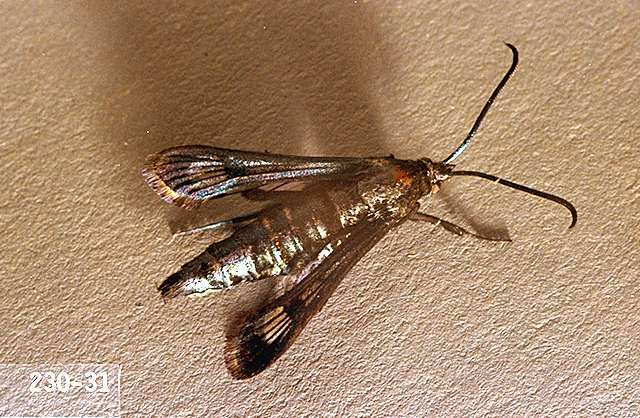 Pest description and damage Peachtree borer is native to North America and common in the Pacific Northwest. The adult is a metallic blue-black, clearwing moth. The male moth may have bands of light yellow scale on the abdomen, which make it resemble a wasp. The female has an orange band around the abdomen. 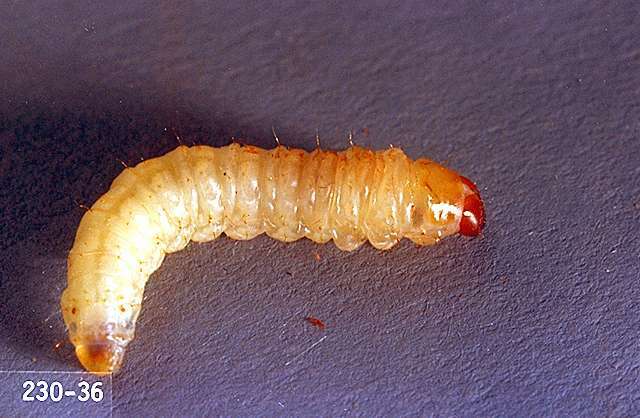 Full-grown larvae are 1 inch long and whitish with a brown head. 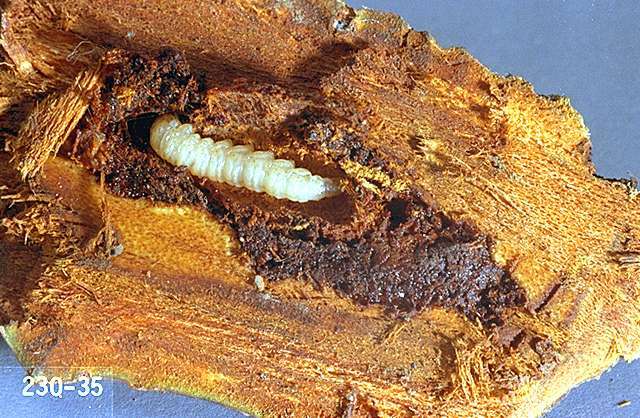 The larvae burrow into the bark of the crown and feed on the cambium. Feeding is restricted to an area a few inches above and below the soil line. Young trees can be completely girdled and killed. Older trees rarely are girdled, but the feeding reduces vigor and makes them vulnerable to other pests and diseases. 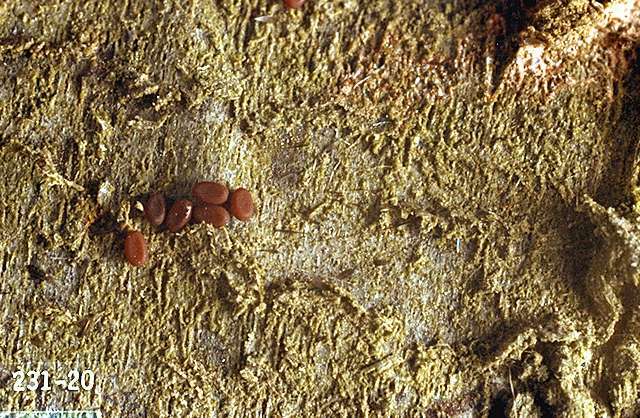 Infested trees bleed a reddish amber, frass and gum mixture during the growing season.